Good morning Debra. 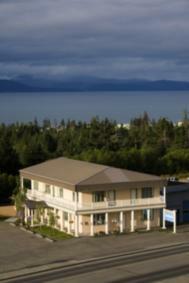 Thanks for the update for the Anchor Point Alaska real estate market. Beautiful photos, Debra Leisek and the sales report is helpful. Still; I am not quite ready for Alaska as Sandy refuses to consider a life back in 'snow country'! Good morning Debra. What a creative way to put the statistics out there. I love the photos. What amazing views you get to enjoy, Debra Leisek ... your friendly guard dog looks like he's on duty protecting it too! Hello Gabe Sanders Thank you for checking it out! Sandy Padula and Norm Padula, JD, GRI NMLS#1483386 You are destined to come visit us! No snow in July ....usually!! Thank you Sheila Anderson I am glad you liked it!! Hello Gene Mundt, IL/WI Mortgage Originator - FHA/VA/Conv/Jumbo/Portfolio/Refi Yes Smoky Jo is protecting her valley!.. she doesnt like the moose coming in the yard! Thank you! Thank you very much for sharing your real estate market report and your photographs.